New estimates revealed by the Austrian Military Intelligence agency show that the migrant crisis is far from over as they predict a surge of economic migrants from West Africa in the coming years. 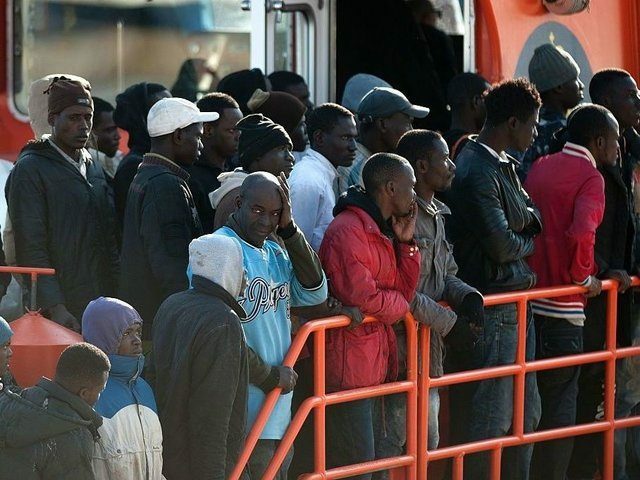 The report by the intelligence agency showed that between the years of 2013-2016 around half a million migrants had traveled from various parts of Africa to Europe. It also found the vast majority of the movement did not come because they were fleeing war or oppression, but rather for economic reasons and the agency believes that trend will continue to rise in the years ahead Bild reports. Of all African migrants who arrived in the three-year period since 2013, the largest amount came form the war-torn country of Eritrea, one of the few African countries deemed as unsafe enough to grant legitimate asylum. Some 100,000 migrants travelled from Eritrea and 80,000 came from Nigeria, often considered one of the safer countries in West Africa and the country with the largest population on the continent. A sharp rise in unemployment across the African nations will lead to a massive increase of economic migrants by 2020, the agency predicted. This surplus of workers who will be unable to find a job in Africa could reach as high as 15 million people by the year 2020, a number that dwarfs the just over 1 million migrants who have arrived over the course of the migrant crisis. The intelligence report echoes statements made last year by the European Union border Agency Frontex who said that the number of migrants from the Middle East and Central Asia would decline over time and the number of migrants, particularly economic migrants, would substantially rise due to rapidly rising populations and faltering economies in the region. In 2016 Italy saw the largest recorded migration of people from Africa to the country as over a hundred thousand crossed the Mediterranean, with 5,000 dying as they attempted to reach Europe. Italy has said it will clamp down on further migrants and some, including allies of German Chancellor Angela Merkel, have said the European Union should turn the boats back to Africa rather than let them land in Italy or Greece.